Fall means wet, muddy parks, but that won’t stop your little one from begging to go! Staying indoors? Art projects can cause a big mess. Don’t worry about the laundry, The Grubby’s got you covered! The Grubby is a water resistant coverall-playsuit for babies and toddlers. Made from high quality, water resistant and breathable nylon fabric, the Grubby is designed with reinforcements in all the right places for active little ones. Generous fit allows for unrestricted movement and comfort. The Grubby slips on over clothing and adjusts automatically with its comfortable elastic at the wrists, ankles, and waist. The Grubby then works its magic shielding the clean clothes underneath! Whether in the morning dew, or after recent rain fall, parents can be assured that their babies and toddlers can climb, crawl, swing and slide without fear of their little one’s clothes becoming messy or stained. When play-time is over, grubby slips right off and so does the mess. The Grubby is lightweight at less than 3 ounces, and packs down to the size of an apple, making it easy to keep on hand at all times for both planned and impromptu trips to the park. The Grubby is great for messy art projects and meals too! 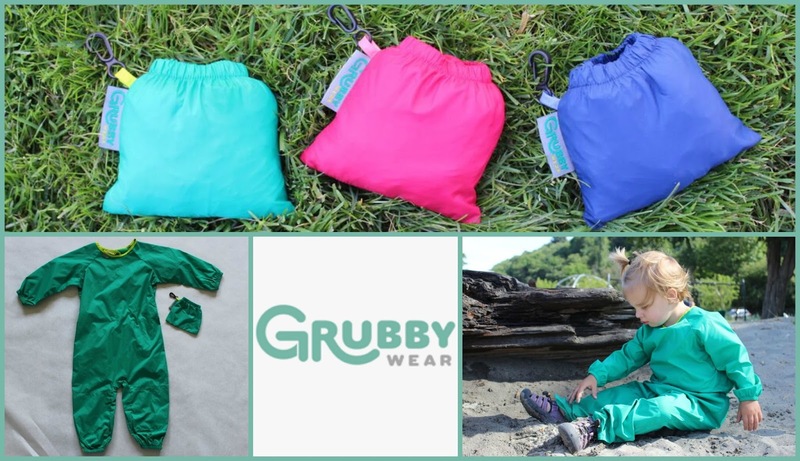 The Grubby comes in 3 great colors, and in 3 sizes from 6 Months – 3T. Stay connected with The Grubby on Facebook, Twitter and Instagram! 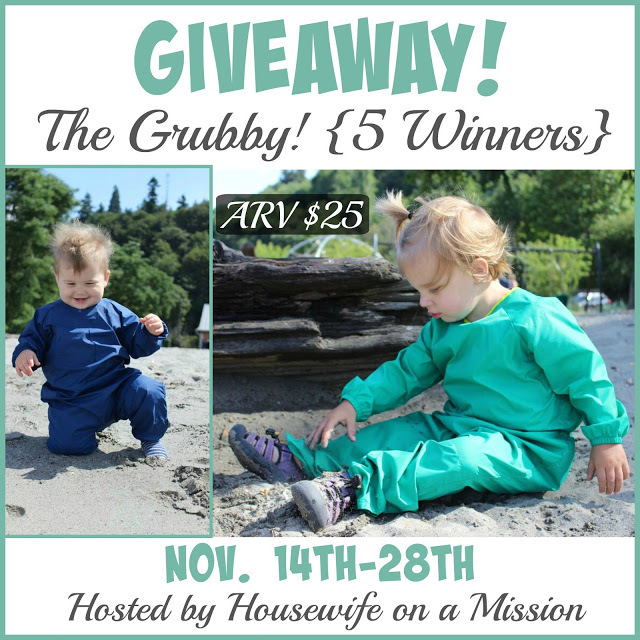 Five of our readers are going to each win a Grubby in the size and color of their choice!